Reach Out Recovery Exclusive by Leslie Glass What is a narcissist, you might ask. Are you controlled by one? Narcissists are the most confusing (and dangerous) people on earth. If they are toxic or malignant narcissists, they take control and rob you of your independence in every way. Don’t confuse a garden variety selfish person with a full on narcissist or sociopath. See it coming and run for the hills. What’s difficult to assess in the beginning is that narcissists can seem super nice and generous and caring. Then slowly things begin to change as their masks slip and they morph into the black hole of need, of demand, of criticism. And the list goes on. Until you're walking through a minefield, trying not to be punished for offending. We’ve written a lot about gaslighting a lot, and how destructive it is. This is not an official psychological term. When you are gaslighted, you feel uncomfortable and know something toxic has occurred, but the narcissist in your life tells you: “That didn’t happen. You imagined it. You’re crazy.” In a nutshell you’re lied to and that makes you doubt yourself. Gaslighting may be the most insidious manipulative tactic. A steady diet of doubting your ability to tell it like it really is alters your sense of reality. Your self-doubt eats away at your ability to trust yourself, and inevitably disables you from feeling justified in labeling and calling out abuse and mistreatment. Solution Write events down so you have a record later. Have a trusted group of friends and relations you can share information with who can validate what really happened, so you are grounded in reality. Your reality is sacred and needs respect. Note, telling and discussing what’s happening to you with others who love you is different from triangulation, which is using others to cause conflict. Best case scenario, get away from people who gaslight you. If they’re family members, limit their access to you. Projection is a defense mechanism narcissists use to displace responsibility of their negative behavior and traits by attributing them to someone else. Narcissists cannot bear to think of themselves as bad, responsible for anything, angry, or difficult. Narcissists are constantly projecting feelings that they cannot tolerate outward to others rather than turning inward. They can’t admit or own up to what they have done. The narcissist creates his own world. Everything revolves around him/her. He believes that he is the initiator and master of his personal and professional domain. Everyone else has a role and that is of serving him and his specific purposes. “You’re mad. You’re sulking. You’re ruining my day...” are things they say to keep you off center. Projection is when narcissists dump their own traits on unsuspecting suspects. Instead of admitting that self-improvement may be in order, narcissists expect others to take responsibility for their bad behavior and feel ashamed. “I’m sorry. I love you,” is the response they want. This is a way for a narcissist to project any toxic shame they have about themselves onto another. Solution: Detach. Detach. Detach. Feeling sorry for them and trying to deny the charge, or explain yourself, only opens the way to further manipulation. Narcissists rarely have an interest in self-insight or change. It’s important to cut ties and end interactions with toxic people as soon as possible so you don’t lose your own identity and independence of thought. Narcissists thrive on conflict. If you ever disagree with a narcissist, want something different, or challenge them in any way, expect a word salad. These consist of circular conversations, arguments, projection, and gaslighting to disorient you and get you off track. Word salads and nonsensical conversations often erupt into arguments and are used to discredit, confuse, and frustrate you. The goal is to distract you from the main problem and make you feel guilty for having independent thoughts, opinions, and feelings that might differ from their own. In the eyes of a narcissist, you are the problem if you happen to exist and disagree in any way. Solution: When conversations go in a circle, or become nonsensical, don’t get frustrated. Frustration or anger is what a narcissist wants. Change the subject, or walk away. “I don’t want to talk about this anymore,” will set a boundary. Boundary setting is crucial for people you want to keep in your life. Did you already fulfill someone’s need to be excessively catered to? Are you dressing for them cooking for them, working on yourself constantly to always be in a good mood, to be lovable and worthy? Now it’s time for a narcissist change what’s required. Little things you already corrected will need tweaking. New goals are set. Constant criticism of things you do that used to be praised puts you into a confused and anxious state. There’s no point to the new demands or criticism except for you to work harder for narcissist’s approval and validation. By pointing out one irrelevant fact or one thing you did wrong and focusing on it, narcissists divert from your strengths and pull you into obsessing over any flaws or weaknesses instead. They get you thinking about the next expectation of theirs you’re going to have to meet – until eventually you’re always bent over backwards trying to fulfill their every need – only to realize they will never be satisfied. Solution: Don’t get sucked into the conversation about whatever you’ve done wrong. Stop the tape. Disengage by taking a break. Acknowledge to yourself this is nonsense. Your opinion matters. If you are asking yourself, “Am I crazy” several times a day: Detach, detach, detach. Your toxic narcissist is a mind reader. Toxic people often presume they know what you’re thinking and feeling, and it’s never good. Their own triggers drive their reactions, so they never evaluate what’s really happening. They put words in your mouth, depict you as having a bad intention or toxic view you don’t have. 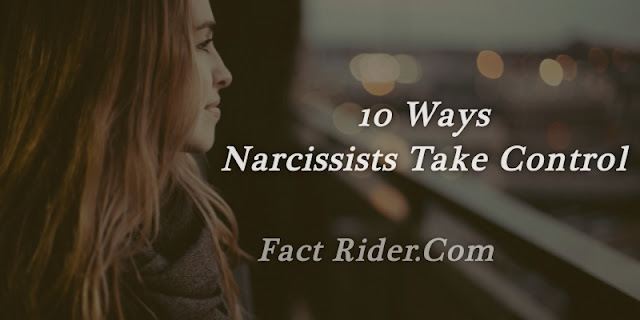 They accuse you of thinking of them as toxic – even before you’ve gotten the chance to call them out on their behavior – and this also serves as a form of preemptive defense. Narcissists reframe what you’re saying to make your opinions look absurd. Let’s say you bring up the fact that you’re unhappy with the way a toxic friend is speaking to you. In response, he or she may put words in your mouth, saying, “Oh, so now you’re perfect?” or “So I’m the bad one,” when you’ve done nothing but express your feelings. This enables them to take away your right to have thoughts and emotions about their inappropriate behavior and instills in you a sense of guilt when you attempt to establish boundaries. Solution: Simply stating, “I never said that,” and walking away can help to set a firm boundary in this type of interaction. As long as the narcissist’s smokescreen and blame-shifting to you works the focus is off their own behavior, they have succeeded in convincing you that you should be “shamed” for giving them any sort of realistic feedback. Solution: Diversions need to be redirected back to the original subject. “That’s not what I am talking about. Let’s stay focused on the real issue.” If the broken record continues to focus on you, disengage and spend your energy on something more constructive – like not having a debate with someone who has the mental age of a toddler. Toxic narcissists will slander you and report back to your loved ones, their loved ones, and anyone who will listen. They create stories that depict you as abusive and pretend they are the victims of your abuse. They claim that you engage in the behaviors that they don’t want you to accuse them of. They will also deliberately abuse you so they can use your angry reactions against you. A smear campaign sabotages your reputation and slanders your name so that you won’t have a support network to fall back on if you decide to detach and cut ties. A malignant narcissist may even stalk and harass you or the people you know as a way to “expose” the truth about you. Smearing you hides their own abusive behavior while projecting it onto you. Solution: Get help. Seriously. Don’t wait until this goes too far. This is more than hurtful. Stick to the facts and don’t react when you’re an object of a smear campaign. In high-conflict divorces narcissists will use your reactions to their provocations against you. Document any form of harassment, cyberbullying or stalking incidents, and always speak to your narcissist through a lawyer whenever possible. Find a therapist and a lawyer familiar with Narcissistic Personality Disorder if necessary. Triangulation is bringing the opinion, perspective or threat of another person, or other people, into the relationship dynamic. Malignant narcissists love to triangulate their significant other with strangers, co-workers, ex-partners, friends and even family members to bolster their claims about you. “Everyone knows what you do to me.” When a narcissist changes the story so that you appear the aggressor, it validates the toxic person’s abuse. At the same time, it invalidates your reaction to abuse. Triangulation puts you on the defensive and makes it difficult for others to know what’s really going on. If you try to defend yourself too vigorously, that may also validate the other person’s claims. Triangulation can also create love triangles that leave you on the outside feeling unhinged and insecure. They also use the opinions of others (that they have influenced) to validate their point of view. This is a diversionary tactic meant to pull your attention away from their abusive behavior and into a false image of them as a desirable, sought after person. It also leaves you questioning yourself – if Mary did agree with Tom, doesn’t that mean that you must be wrong? The truth is, narcissists love to “report back” falsehoods about others say about you, when in fact, they are the ones smearing you. Solution: To resist triangulation tactics, realize that whoever the narcissist is triangulating with is also being triangulated by your relationship with the narcissist as well. Everyone is essentially being played by this one person. Reverse “triangulate” the narcissist by gaining support from a third party that is not under the narcissist’s influence – and also by seeking your own validation. Preemptive defense is setting up a false nice guy front. Narcissists paint themselves in glowing terms all the time, stressing qualities they don’t have. “I’m a nice person.” Or, “I’m too nice. Or “You can trust me…I really care about people. I would never hurt you, or anyone.” There’s no basis in fact for these assertions. Toxic and abusive people overstate their ability to be kind and compassionate. They often tell you that you should “trust” them without first building a solid foundation of trust. When you see their false mask begin to slip periodically during the devaluation phase of the abuse cycle, the true self is revealed to be terrifyingly cold, callous and contemptuous. Solution: To counter a preemptive defense, reevaluate why a person may be emphasizing their good qualities. Is it because they think you don’t trust them, or because they know you shouldn’t? Trust actions more than words and see how someone’s actions reveal who they really are. Toxic individuals love to mess with you. A simple comment may bait you into responding politely initially, but by the third jab it’s hard not to react. Then the narcissist feigns innocence. They use your insecurities maliciously to provoke you. After you’ve fallen for it, hook line and sinker, they’ll stand back and innocently ask whether you’re “okay” and talk about how they didn’t “mean” to agitate you. This faux innocence works to catch you off guard and make you believe that they truly didn’t intend to hurt you, until it happens so often you can’t deny the reality of their malice any longer. Solution: Remember you’re being baited so you can avoid engaging altogether. Provocative statements, name-calling, hurtful accusations or unsupported generalizations, for example, are common baiting tactics. Your gut instinct can also tell you when you’re being baited. Feeling bad about what another is saying and expounding on is a red flag for you to get some space and detach. The control that narcissists have over their victims is no joking matter. Become aware and take steps to take care of yourself. You may need help getting away and healing. If you are deeply embroiled and there are children involved, or if you don't feel safe, find legal and other help to protect you.